New York, NY, May 1, 2017 – What happens when pets from shelters and rescue groups take over a social media lab to try to get their friends adopted? That’s the premise of the new Social Paws campaign from The Shelter Pet Project, a collaborative effort between the Ad Council, The Humane Society of the United States and Maddie’s Fund®. 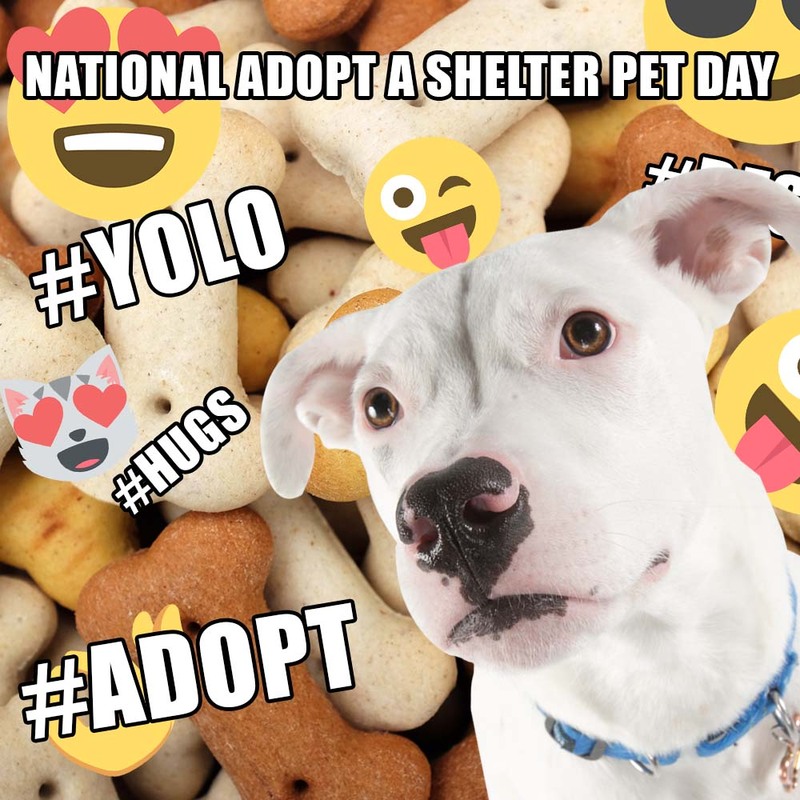 The campaign, which encourages shelter pet adoption by giving adopted pets a voice on social media, was created with the help of award-winning marketing communications brand J. Walter Thompson New York and digital agency ISL, and launched on National Adopt a Shelter Pet Day, April 30. The pets, from Washington D.C.-based Humane Rescue Alliance and Lost Dog and Cat Rescue Foundation, turn out to be social media geniuses in their attempts to inspire viewers to adopt their amazing dog and cat friends currently waiting in shelters, deploying creative memes, videos, GIFs and social media posts to share their message. As part of the campaign, these dogs and cats play with toys in a custom-built studio. Every toy they interact with builds social graphics by writing the headlines, setting the backgrounds and selecting the emojis and hashtags in a playful fashion. Following the launch of the first post on April 30, The Shelter Pet Project will continue to roll out new ads for the Social Paws campaign throughout the spring and summer, released on various social media holidays throughout 2017. These holidays include National Space Day, National Odometer Day, National Buy a Musical Instrument Day, National Donut Day, National Best Friend’s Day, Eat Your Beans Day, National Moon Day and Hug Your Boss Day. 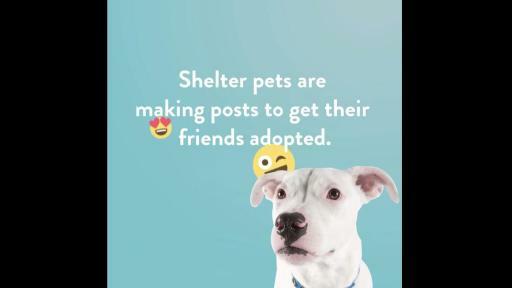 The Shelter Pet Project also partnered with GIPHY, who are launching custom frames and filters to be featured in its GIPHY Cam app, as well as GIPHY Studios, who have created custom GIFs to support the adoption of shelter pets. 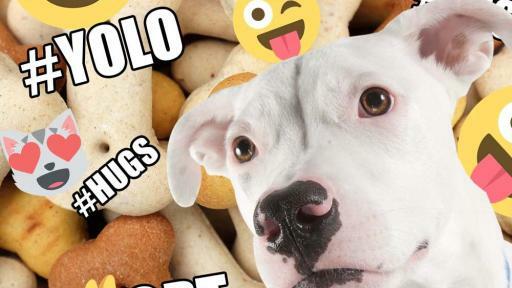 This collaboration will allow pet lovers to show their support by creating their own GIFs, using photos of their pets with the GIPHY Cam filters, to spread the adoption message through text and social media. Since The HSUS and Maddie’s Fund joined with the Ad Council to create The Shelter Pet Project in 2009, the campaign has worked to make shelters and rescue groups the overwhelmingly obvious choice for those looking to obtain a pet. To date, this message has inspired more than $329 million in donated media. In 2016, The Shelter Pet Project asked everyone to “Start a Story. Adopt.” with some help from fashion icon Toast Meets World, globally-recognized pianist Keyboard Cat and party animal Hamilton Pug. Prospective pet owners are encouraged to visit TheShelterPetProject.org, where they can search available pets by zip code, read adoption success stories and learn valuable information about pet adoption. For daily updates, follow The Shelter Pet Project via social media on Facebook, Twitter, Instagram and YouTube. Individuals can also use the hashtag #StartAStoryAdopt to share a story about how their adopted pets changed their lives for the better. For more information, please visit www.TheShelterPetProject.org. 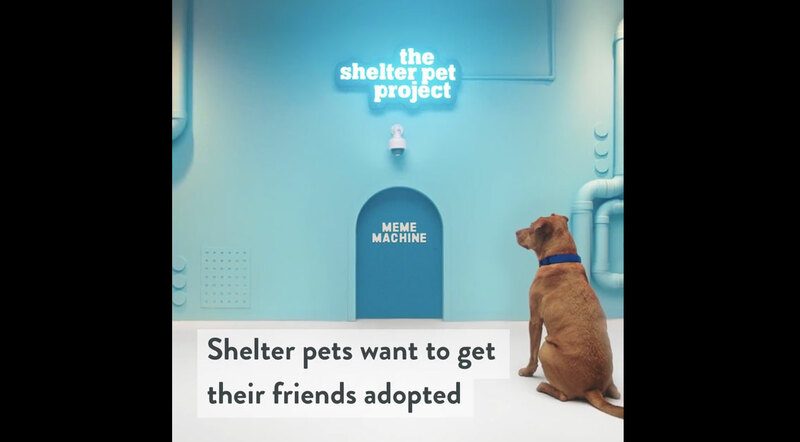 The Shelter Pet Project is the first national PSA campaign created to bring together large animal welfare organizations, The Humane Society of the United States and Maddie’s Fund, and shelters across the country for one unified goal – to increase pet adoption. Along with the Ad Council, these partners aim to break down stereotypes associated with shelter pets and make shelters and rescue groups the overwhelmingly obvious choice for obtaining a pet. Maddie’s Fund is a family foundation created in 1994 by Workday® co-founder Dave Duffield and his wife, Cheryl, who have endowed the Foundation with more than $300 million. Since then, the Foundation has awarded more than $187.8 million in grants toward increased community lifesaving, shelter medicine education, and pet adoptions across the U.S. The Duffields named Maddie’s Fund after their Miniature Schnauzer Maddie, who always made them laugh and gave them much joy. Maddie was with Dave and Cheryl from 1987 - 1997 and continues to inspire them today. Maddie’s Fund is the fulfillment of a promise to an inspirational dog, investing its resources to create a no-kill nation where every dog and cat is guaranteed a healthy home or habitat. #ThanksToMaddie. Learn more at www.maddiesfund.org.